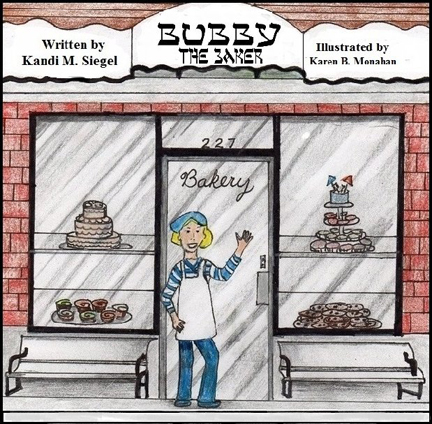 Kandi M. Siigel is pleased to announce that her newest picture book Bubby the Baker is now ready for pre-sale orders. This is a 32 page fully colored book geared for children preschool - first grade. It's about a Jewish woman who loves to bake so much that she decides to open her own bakery. Page by page, Bubby shows off all her goodies that she sells in her store. At the end of the book there are a couple recipes that you can make at home. 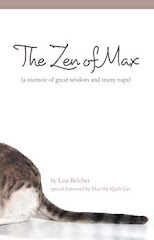 The cost of this book is $10.00 for local people (price includes tax) and $13.00 for out of towners (price includes tax and shipping cost). She take checks and charge cards. As an introductory pre-sale offer, she is taking $1.00 off. But hurry, as this offer is only good until August 31st.